Sauer Adler are the Polish duo of Kacper Wojaczek on keyboards and vocals and A.J. Kaufmann on guitars and vocals, with assistance from Agata Grzeskowiak on vocals. 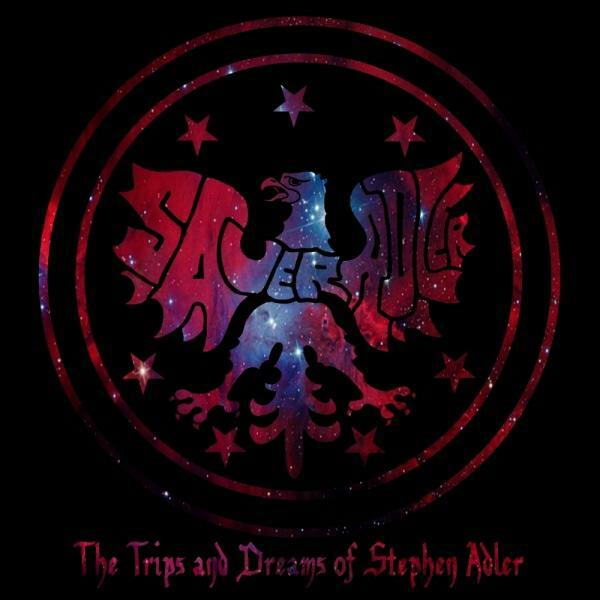 Their latest album, The Trips and Dreams of Stephen Adler, continues in the spirit of last year’s debut album, Revelation. In my review of Revelation I made such analogies as Syd Barrett circa Mapcap Laughs and lo-fi Peter Hammill. We’ve got that and more on the new album. Selections that highlight the variety across these dozen songs include Dance Of The Rainbow Elephant, with its intense Van der Graaf Generator styled Doom-Prog and Psychedelic edge. Lucifer’s Herb is one of my favorite songs of the set, being a damn fine bit of 70s Hard Rock and Prog. Addiction has a Medieval-Folk feel, with male/female vocals, piano and orchestration. Megacity is a solid song that’s colored by swirling spaced out effects and alien synth melodies. Song For A Drummer features dreamy 60s inspired Psychedelia with a Prog infusion. Like A Child goes in a different direction, being a bouncy electro-pop tune, but with a Mellotron-ish backdrop. Summer Dreams is a classic 60s Sunshine-Pop dittie. Herba Gramen has an interesting combination of Prog and Pop-Psych. After a trippy intro, Hi Tech Inferno launches into one of the darkest and most intense Prog stompers of the set. And Distant Clusters is another one of my favorites, consisting of intense Prog-Psych with a drugged droney vibe, really good instrumentation and arrangements, and a tasty melodic fuzz guitar solo. I’ve come away from this new album with the same feeling as my last review, which is that Wojaczek and Kaufmann are doing an impressive lot with a little, writing really good songs and kicking them up a notch with damn fine Prog-Psych instrumental arrangements. Check ’em out.